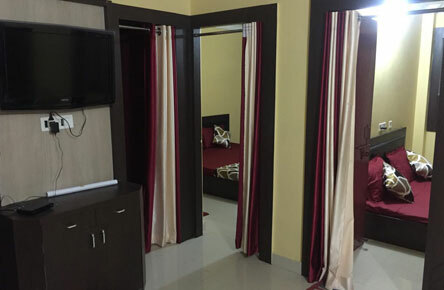 Puri Holiday Apartment basically The Service Apartment in Puri, Odisha State, India, welcomes you to the world of executive luxury and comfort. Best Accommodation rather Than Hotels with many Features. Puri Holiday Apartments is located in one of the most premium Location in Puri (CT Road), 100 metre Walking Distance to Puri Sea Beach. They are in the proximity of less than 2 kilometres from the Puri Railway Station & 2 kilometres from Puri Jagannath Temple Dham, It is a Centre Location in the City of Puri. 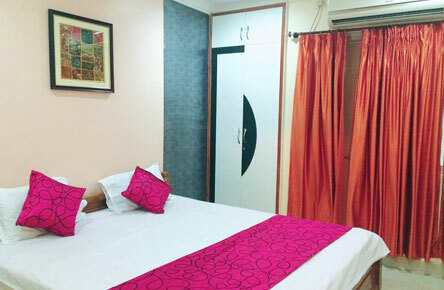 Puri Serviced Apartment has elegantly designed multiple Ac rooms with Balcony, Large Living Room, Kitchen, Toiletries Kit in Bathroom and other amenities. It offers a spacious ,flexible and cost effective altenative to restrictive hotel rooms with an average saving of 20-30% on an equivalent standard Hotel. 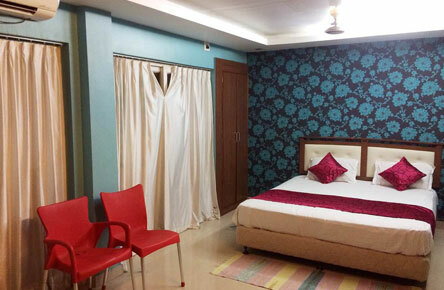 Book Deluxe 2BHK Flat Includes (2 AC Rooms With Balcony, 1 Large Living Room & Kitchen Space) !!! Best Accommodation For 4 persons (More 2 Adults can also be accommodated with an extra charge). Our Family Suite Room Includes well ventilated 2 AC Rooms, 1 large living room with LED TV & Sofa with a Small Kitchen Space, water purifier, refrigerator and attached bathroom with 24 hours hot and cold running water. Get a Free Hotel Quotation!!! Copyright © 2019 Patra Tours and Travels. All rights reserved.